Who remembers the sparkly mini I bought in Beyond Retro? 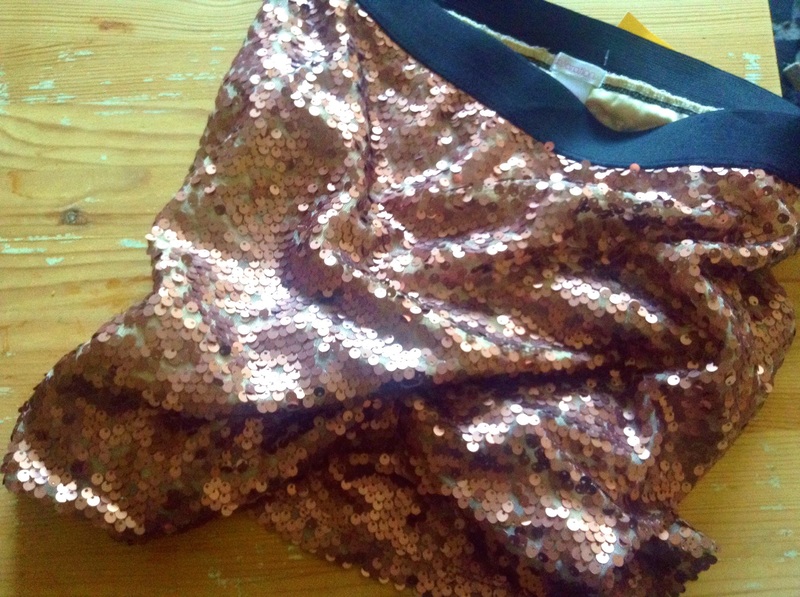 Way too small and way to bedazzled for me to wear, I knew I wanted to use the gorgeous cognac sequined fabric. To me it would be the perfect size for a bag, a bag for Christmas day that was big enough not only for the essentials but also for scarf and gloves, but still spandangly enough for the occasion. So here is the skirt…. 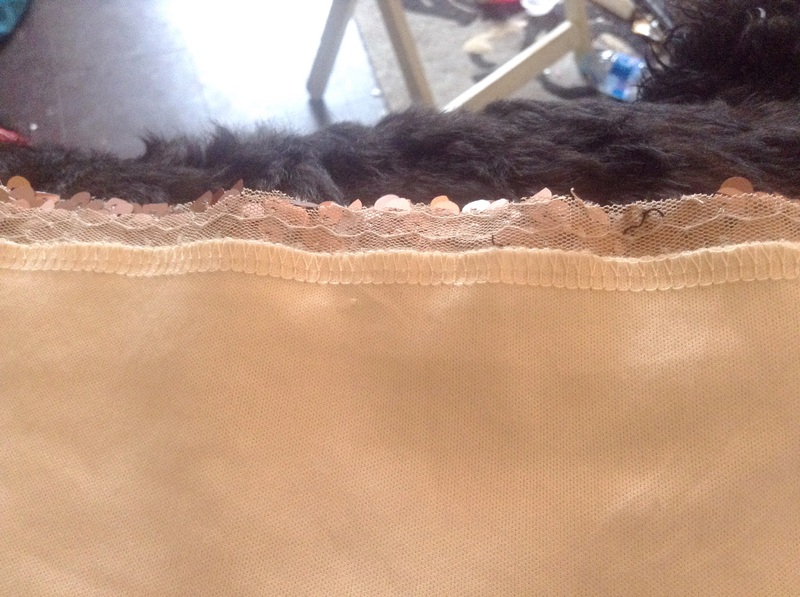 First, I cut off the original hem and unpicked the waistband….. 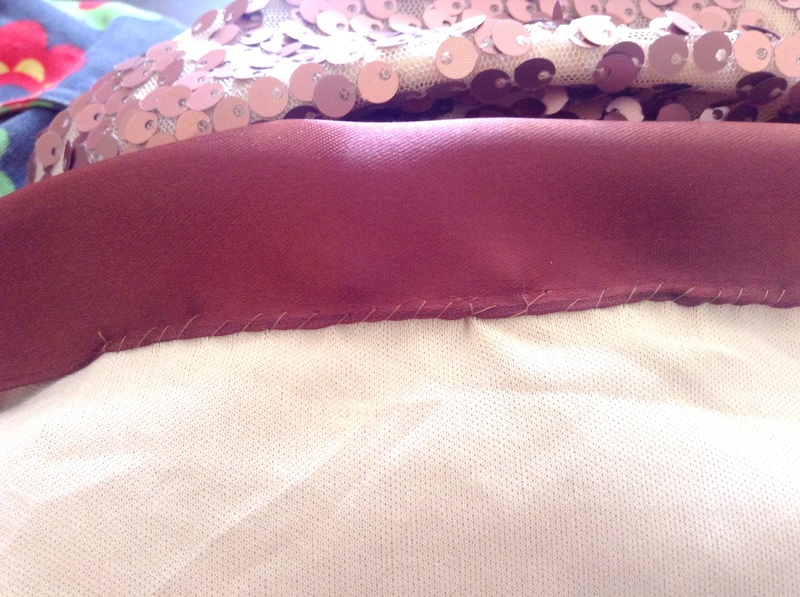 I then seamed the opened bottom, I used invisible nylon thread and hand stitched it as the sequins were a bit tricky…. 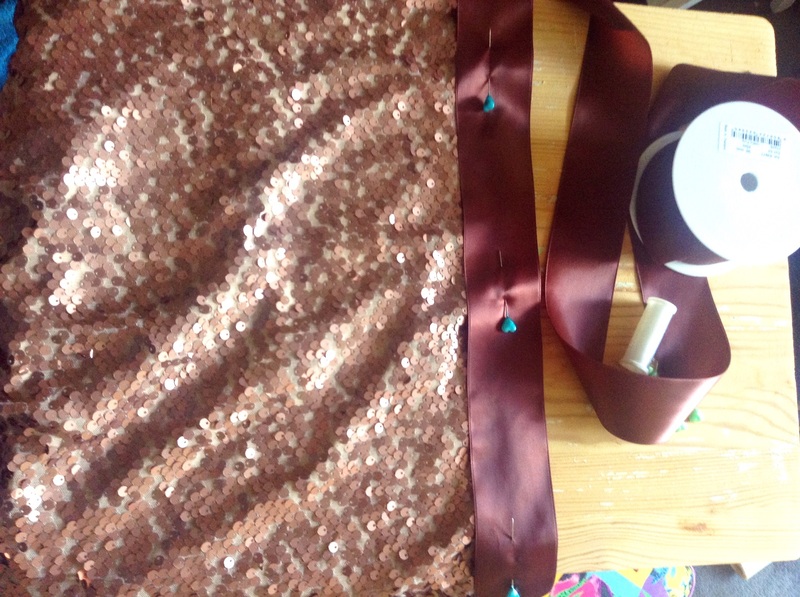 I then turned it back to right side, and pinned a wide chocolate ribbon, leaving half ready to fold to the other side…. I sewed this on again by hand using an overstitch, it would look much neater backstitched but im having problems with my right arm and I wanted to get it done for you! 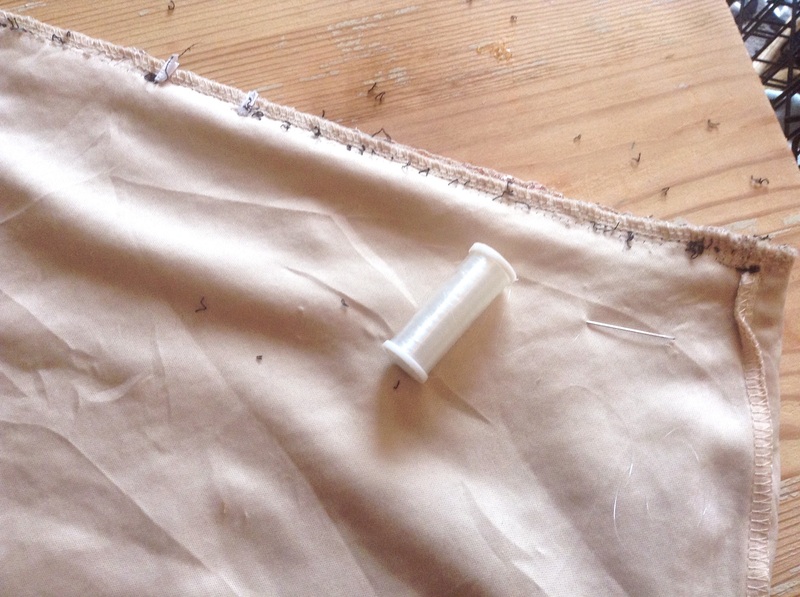 Then fold the other half of ribbon to the inside and sew down……. Because I am a too much is never enough kind of a girl, I wanted to add a large bow on the outside, giving it a kind of Great Gatsby feel…….. Finally, the tricky subject of handles! 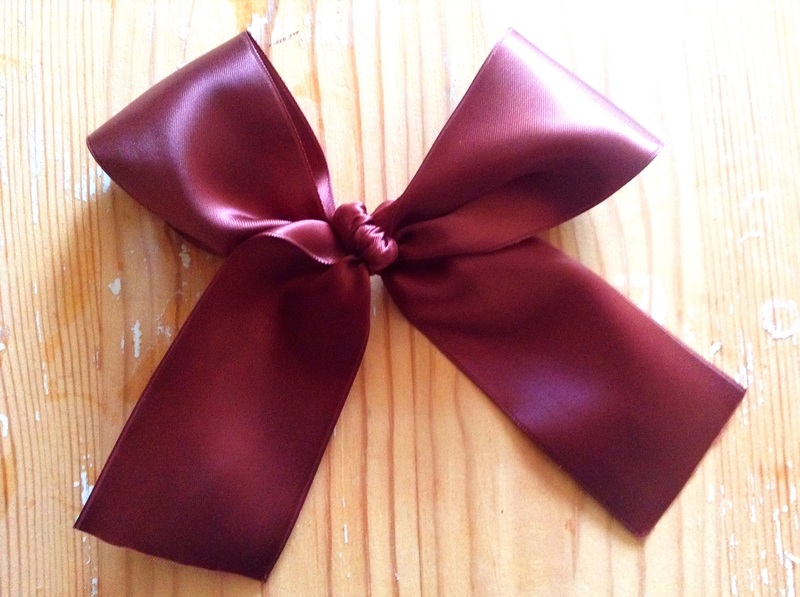 as the ribbon I had bought was so wide and beautifully thick, I simply used a length of that.Et Voila!…….. If you look carefully you will see the handles only pinned on, again that right arm had its way and called a halt to proceedings, if I had more time I might have put a fastening on, and I might have reinforced it with some interfacing, but I am really pleased with the way it’s turned out, and I will be using it over the christmas season, of course I might need a new outfit to go with! 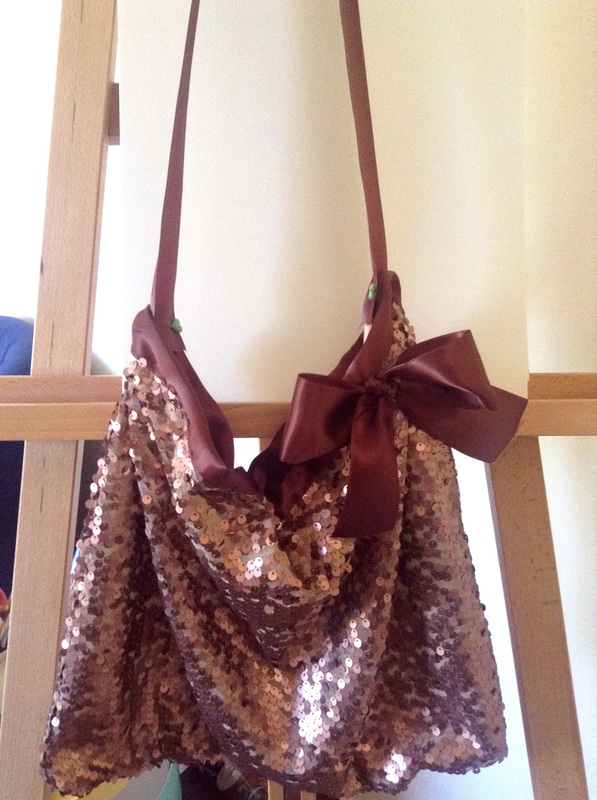 This entry was posted in DIYs and tagged bag, beyond retro, christmas, diy, great gatsby, sequins, sewing, the ribbon room, tutorial, upcycle by karenlorenz. Bookmark the permalink. Thank you! It definitely was a cheap way of doing it! This is gorgeous, what a fab idea!